Our way of life has changed substantially over the last century and with it, our nutritional habits. Everything is happening quickly, the stress levels are through the roof and we seem to be running out of time for ourselves. All of this takes a toll on our body and mind. So we try to make it better, we start exercising, learn how to prioritize, get organized, but the one thing that is constantly being forgotten is our nutrition. It is essential for both our wellbeing and productivity at work, but we seem to overlook it the most. 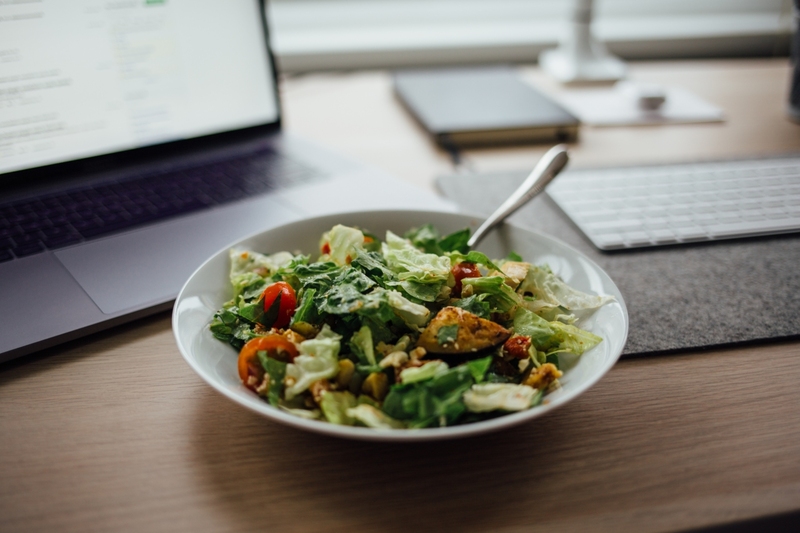 Now, in order to help you understand why a great diet plan is just as important as quality work and time organization, here are some ways in which what we eat affects our mental well-being and productivity along with some great tips on how to improve on the situation. This old saying has proven to be true. Many a research has been conducted over the years regarding the effects of food on our mental health. And thus far the results are mostly in agreement, unhealthy nutritional regimen can actually lead to dementia and depression. Of course the effects on the physical health are far more visible, with the obesity being all time high in the developed countries. However the effect that an unhealthy diet can have on our mind should not be overlooked. When it comes to killing productivity, look no further then the carbs. Of course, they are a necessary part of a healthy diet, but you might have noticed that they are never the main part of a healthy meal. And when it comes to work productivity, they are stone cold killers. Given the fact that foods rich in carbs tend to cause the body to produce a ton of insulin, which in turn floods the brain with sleep hormones like serotonin and tryptophan, it is quite clear why they shouldn’t be your first choice when it comes to boosting productivity. Given this, not-so-flattering trait of carbohydrates, it is no wonder that more and more diets opt to exclude them, or limit their amount. One of the currently most popular ones is the ketogenic diet that limits the carbohydrate consumption and focuses more on other nutrients, and for good reason. It has become so popular that it us trying to find out what are ketones and what can they do for our body. Sugars are not far behind, just not in the way you think. Did you now that low blood sugar can affect your self-control, which in return has a direct effect on your productivity. A recent study published in Personality and Psychology Review states that “…glucose provides energy for nearly all of the brain’s activities, and it is plausible that self-control, as a particularly expensive process in terms of complex brain activity, is especially dependent on glucose.” In translation, this means that low blood sugar results in lowered willpower which leads to a lowered ability to stay on task and get work done. For any company, well-being and productivity of its employees should be of utmost importance. So apart from everyone taking care of their eating habits on the personal level. Awareness should be raised on the level of companies. First of all, there should be food choices available that will have a positive effect on the overall productivity and health of the employees. This means an abundance of fruit and vegetables along with a variety of nuts and some super foods. Having a diverse office menu can have significant positive effects on the overall work productivity at the office. In addition, it is also a great option to get educated on when is the best time to eat certain metals in order to increase both well-being and productivity. For example, after we eat our body knows it is supposed to wake up and get to work; this is why breakfast is so important. And this is the same reason we shouldn’t eat too late in the day. By eating just before we go to bed, we can experience trouble sleeping because our body is receiving the message that it should be up and running instead of relaxing and resting. So as we can see, not only what we eat but also when we eat it has a significant effect on both body and mind, and if we want our mind to function like a well-oiled machine we need to pay more attention to our dietary habits. Because with just a few adjustments we will be able to boost our productivity and achieve higher work results. So now it is time to make the first step, modify some of the daily meals to include some of the ideas mentioned above and see the change, both in your energy levels and your ability to focus more during work hours.